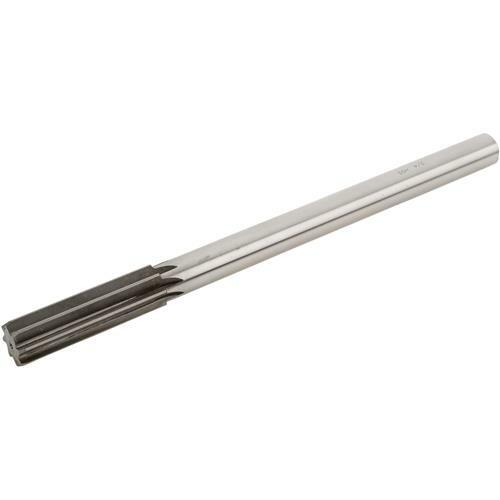 Chucking Reamer - HSS 3/4"
Grizzly G9441 - Chucking Reamer - HSS 3/4"
Used to finish holes to close tolerances, this American Standard high speed steel Reamer features straight flutes with 45 degree chamfer for gradual starting load. G9441 SPECIFICATIONS: Cutter Diameter: 3/4" Flute Length: 2-1/2" Overall Length: 9-1/2" Accuracy: +0.0001"-0.0005" Nominal Shank Size: 5/8"
This is a great reamer for the price. The runout is significant, but it's sharp and does the job.